Add a little drama to your wardrobe with the Drama Dress! With beautiful drape and tons of options, this design is perfect for any special event or wear it for every day! 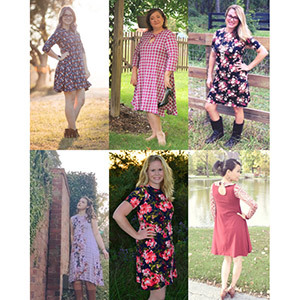 Four sleeve lengths options (including sleeveless), pocket option, slim and full skirt versions...PLUS four necklines (basic, collar, keyhole and bow tie) to choose from! It’s easy to customize this top to your style and taste! Make something fabulous for YOU! 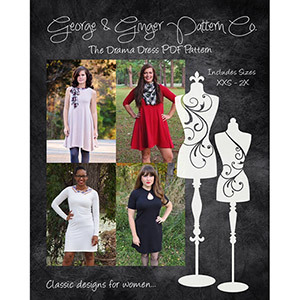 The pattern is available in sizes XXS to 2X. 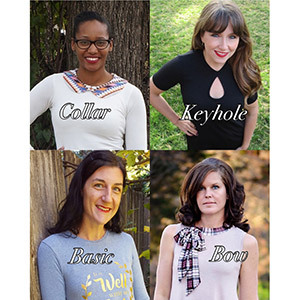 Suggested fabrics are hacci sweater, cotton lycra, cotton jersey, and brushed poly spandex.